Some more details have been spilled about Microsoft’s new version of the Edge browser, built on Chromium (the same engine as Google’s Chrome browser) – and an apparent full (preview) build of Chromium-based Edge has been leaked online. Let’s deal with the latter leak first, which (as spotted by Neowin) comes from the PCBeta forum (via Aggiornamenti Lumia). You can download the setup EXE from the linked Chinese forum, but we have to point out – you do so very much at your own risk, with this being a source we wouldn’t be at all confident about ourselves. A safer route is to consider the aforementioned spilled details, and these come from The Verge, which got an early look at the new browser thanks to an ‘anonymous’ source. And apparently, the revamped Edge already looks slick, feels polished, and performs speedily when surfing the web. Many features from the original Edge browser remain, although overall, the new effort is a mix of Chrome and Edge, as you might expect. After all, Microsoft needs to make it seem different enough to persuade folks to give it another chance, and it will inevitably have Chrome influences. However, the developers are implementing animations and visual touches to ensure that the Chromium-powered Edge will feel like a Windows browser, which is obviously vital for Microsoft to do, as well. Another area of importance is extensions – which add extra bits of functionality to the browser – and we’ve already heard that the new version of Edge will have a plentiful library of add-ons, as Microsoft calls them, thanks to the Microsoft Edge Insider Addons web page which popped up recently. The Verge further observes that as well as those extensions, you can flip a switch in settings to let you install Chrome extensions straight from Google’s web store – the tech site tested out a number of these, and they already work just as they do in Chrome. Microsoft had confirmed support for Chrome extensions late last year, but it’s obviously good news to see the actual realization of this feature, and the fact that it’s already easy-to-use, and apparently working well, even in an early version of the new browser. On an overall level, this means folks will have plenty of choice for their add-ons, with Microsoft determined not to fail on this front like the initial incarnation of Edge (which famously didn’t carry support for extensions when it first launched, and this crucial feature took a long time to arrive – and even when it did, numbers were very thin on the ground). Sync support is also incoming for extensions, although that isn’t live yet, and apparently won’t be available straightaway, but in the ‘coming months’. For now, the only thing you can sync across your devices is favorites. 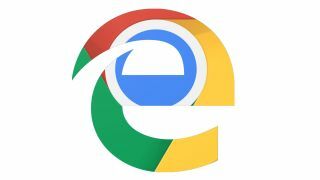 So, in short, it seems that Edge v2 is shaping up very nicely, and could well be a viable alternative for those who want a Chrome-like browser, but would prefer their strings attached by Microsoft rather than Google. Certainly, more choice in the browser world won’t hurt – although there are those who argue that Microsoft switching Edge to Chromium is further playing into the hands of Google effectively monopolizing the web in the overall big picture. So arguably we might have less choice in some respects, but the point is we have more viable options – because the problem with Edge as a standalone product was that it simply wasn’t reliable enough as an everyday browser, and suffered some compatibility bugbears (because everyone builds their sites primarily for Chrome, as it’s by far the most popular browser out there).